I am constantly looking for nutritional snacks and such for when I travel. I am an extremely picky eater, plus I had my gall bladder removed a few years ago, and if I don’t eat regularly, it can cause headaches and slight nausea. So having tasty and ideally nutritious snacks while traveling is a must for me. About a year ago I discovered Lenny and Larry’s nutritional cookies. The problem with most ‘nutritional’ cookies or bars is that they taste terrible. 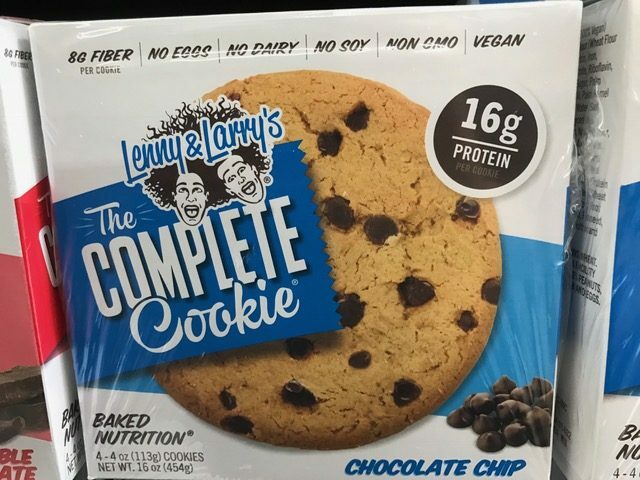 Lenny and Larry’s cookies actually aren’t that bad, in fact they taste great when compared to similar products. Additionally, they are very easy to digest, with a great protein to fat ratio. Each cookie (4 oz) is massive and enough for 2 servings, with 6 grams of fat per serving and 8 grams of protein. Needless to say, The Complete Cookie is now my go-to snack when traveling. So the other day when I was on their site, I noticed they have a page that explains their brand ambassador program. I want to review their program because I know a lot of you are curious as to what a brand ambassador program looks like ‘in the wild’. 1 – A process for helping ambassadors better sell your products to the potential customers they will interact with regularly. This could be coupon codes or samples that ambassadors can share with potential customers to encourage a purchase. 2 – A process for letting ambassadors collect and share product feedback from their interactions with potential customers, as well as their own product feedback. This is especially beneficial for letting ambassadors share feedback from potential customers on why they don’t currently buy your brand or its products. 3 – A way for ambassadors to directly communicate and connect with each other around shared ideas and beliefs that are core to them, that also relate to your brand and its products. For example, if your company makes cooking utensils, it might be a good idea to create a message board that unites ambassadors around the idea of cooking. Based on what I see on this page, Lenny and Larry’s brand ambassador program is focused on having its members drive sales. Period. There’s also a passing mention of driving digital WOM with the #TeamLL hashtag, but it’s obvious that the main focus of the program is additional sales. 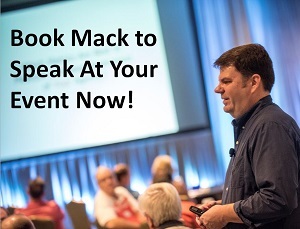 “Our Brand Ambassador program is our way of saying thank you. Every ambassador gets a personalized landing page with a unique URL. Every time someone purchases after following your tracking link, you are handsomely rewarded. The more you promote, the more benefits you’ll receive. 1 – A way to directly connect with other brand ambassadors. I would like to see a forum or maybe a private Facebook group or some digital mechanism to let me interact with other members of the program. Lenny and Larry’s creates healthy snacks so I am sure there are many fans of the brand that also have a lot of knowledge of the brand’s products as well as healthy eating and living that they could share with other members. This type of knowledge-sharing would benefit all members, as well as bring them closer together. Which also creates a better experience for the brand ambassadors, and this gives them another reason to be loyal to the brand. 2 – A way to directly connect with the brand and share thoughts and ideas. Think of this as a brand advisory council or similar. Members no doubt have ideas and opinions on how to improve the program or change it based on their interactions with potential customers. It would be great if Lenny and Larry’s had a mechanism in place to directly connect the group with the brand. When crafting a brand ambassador program remember that while leveraging ambassadors to drive new sales is important, leveraging their feedback from interactions with other customers can also pay huge dividends. 3 – Give the members early access to new products that are in development. If you’re already a fan of Lenny and Larry’s products, you’ll probably be interested in any new flavors to existing products, or any new products in development. The point here is, if you’re going to create a brand ambassador program, give members multiple ways to participate. Not everyone wants to sell your products, even if they love your brand. Give your ambassadors special access to what’s happening with your brand, and multiple options for how they can participate and extend the relationship with your brand. I think Lenny and Larry’s brand ambassador program is a good start, as long as they are open incorporating new elements, starting with giving existing ambassadors more input into the future of the program. Having said that, I know how hard it is for the boss to sign off on launching a brand ambassador program without there being a direct impact to sales, so I totally get the focus on attempting to drive sales through existing ambassadors. This is typically one of the first and biggest roadblocks I encounter when working with clients, the boss can only see a brand ambassador program’s value through the lens of how many new sales it will immediately generate. This affects execution and roll-out and if not carefully positioned, can negatively affect the progress of the initiative. If this post has piqued your interest in launching a brand ambassador program, here’s a bit more information on how to get started creating an amazing brand ambassador program.